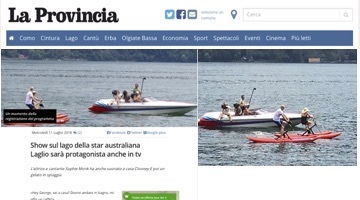 Report on the Italian newspaper La Provincia newspaper about our Waterbikes on an TV show. 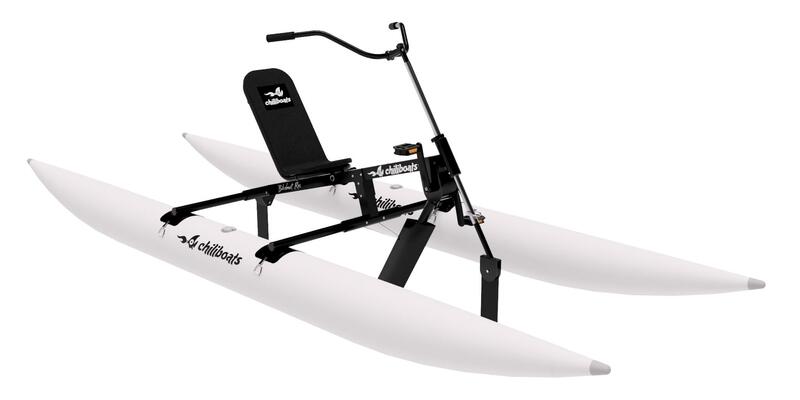 Congrats to our exclusive partner in Italy Waterbikeitalia. Jul. 11, 2018. 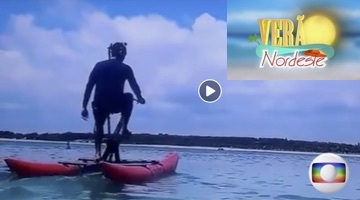 Our partner Waterbikeitalia participated at Vogalonga 44 in Venice with our Bikeboats. A great event! May, 19, 2018. 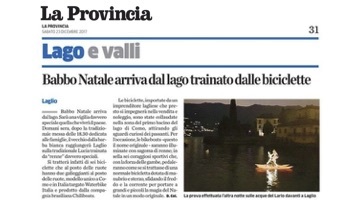 Christmas arrives at Lago di Como pulled by bicycles. The waterbikes (Bikeboats) lit with the silhouette of the reindeer took the children and adults the magic of Christmas in an original way! 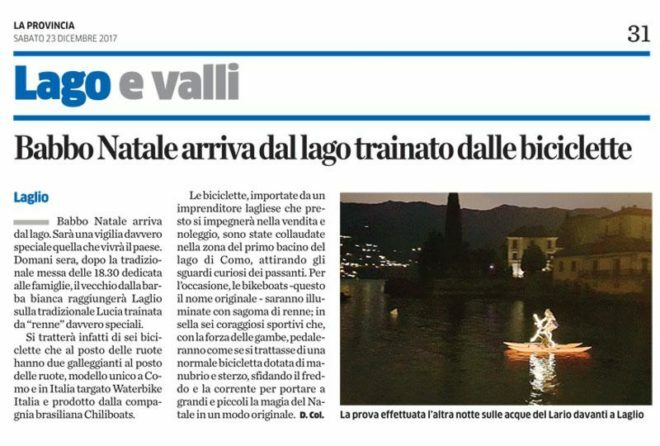 Ride organized by our partner WaterbikeItalia. Dec., 2017. 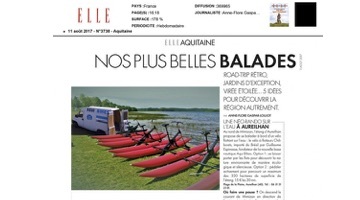 “Nos Plus Belles Balades (Our most beautiful rides)” – Edition October 11, 2017. 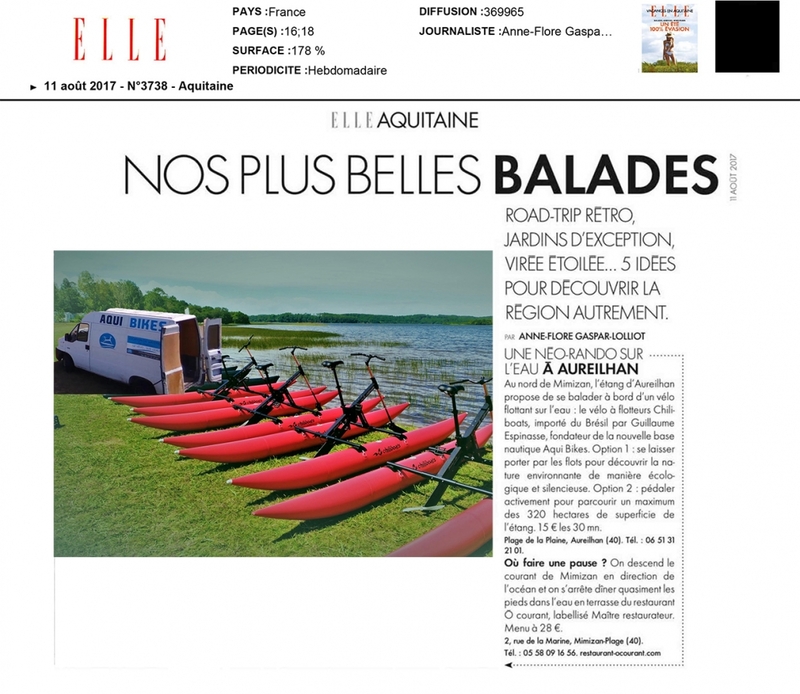 Report made with our exclusive distributor in France Aqui Bikes. 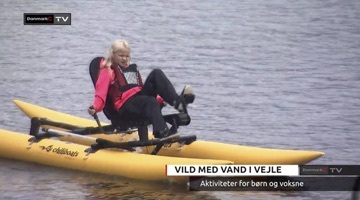 The “Nordjysk Vandcykel Championship” is part of the Aalborg Sustainability Festival and was covered by the Danish TV2Nord – September, 16, 2017. “Navigating with your feet” – Edition May, 2017. “Sensation of pedaling on the water” – exhibited on January 21, 2017. 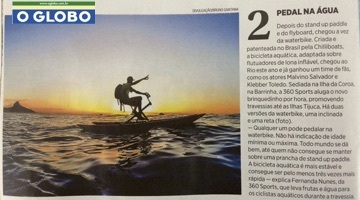 “Rio 40 degrees: Riding” – Edition January, 2017. 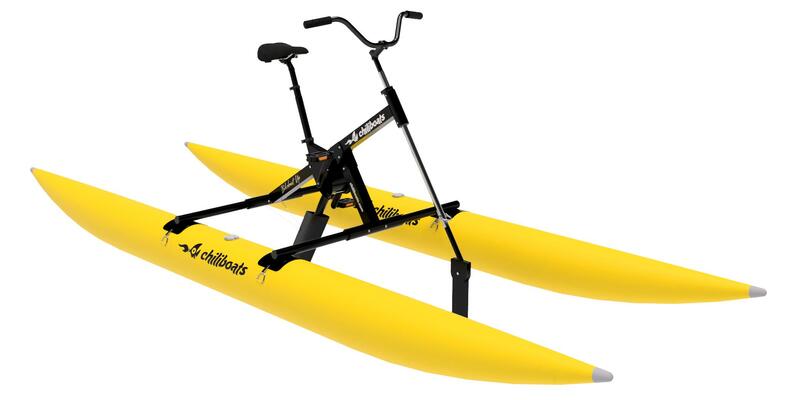 “Rio 40o: What about a water bike ? !” – exhibited on January 1st, 2017. 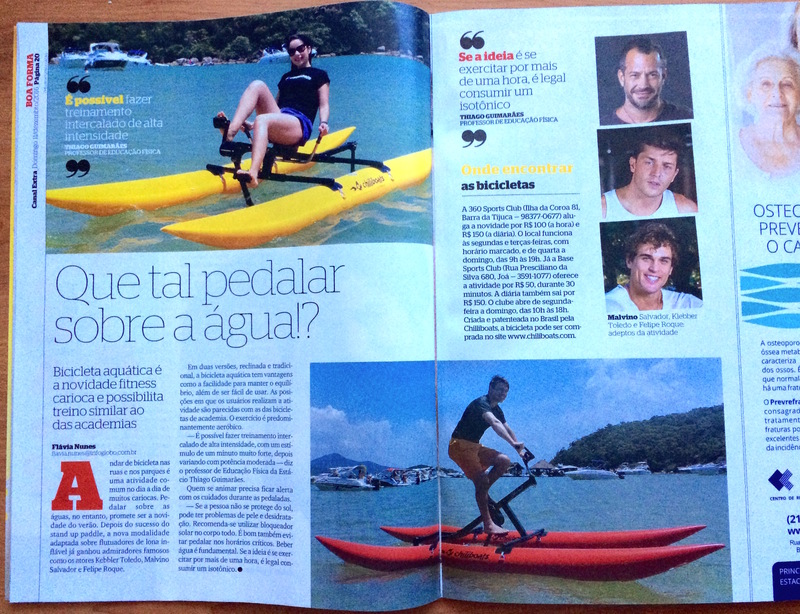 “Bikeboat is a new trend at João Pessoa beaches” – exhibited on December 23, 2016. 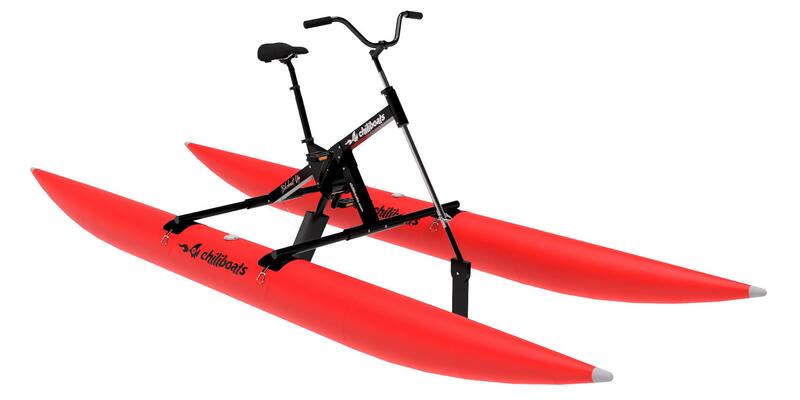 “What about riding on water!? 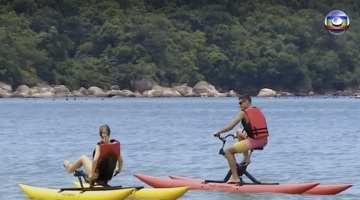 Waterbike is a new fitness trend at Rio de Janeiro” – December, 11, 2016. “Pedal on water” – December, 4, 2016. “Island Adventure – Chili Boats”, report with our partners in Canada, Brian e Sherry, Vancouver Island Recreation owners – September, 16, 2016. 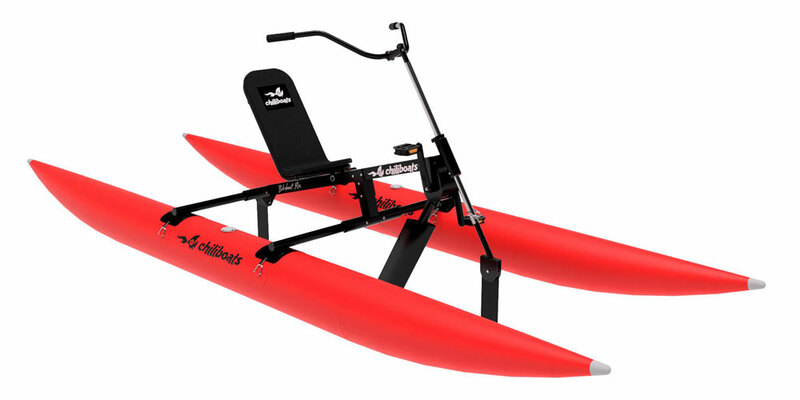 Waterbikes Bikeboats at “Vild Med Vand I Vejle” event, activities for children and adults – September, 13, 2016. 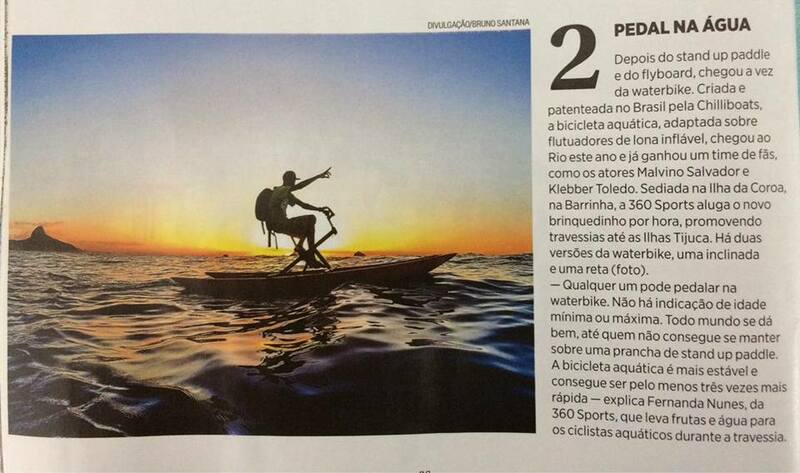 “Waterbike is popular in Rio de Janeiro’s water” – April 1st, 2016. 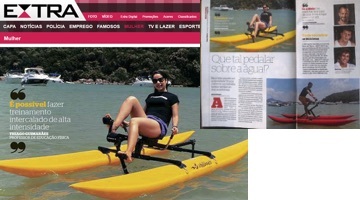 Bikeboat Recumbent & Up on “Mais Você” TV Show exhibited on February 26, 2016. 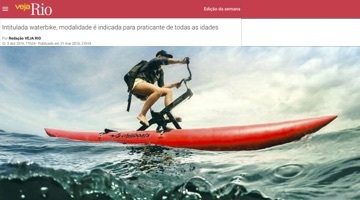 ”A bicycle to pedal on water” – exhibited on February 14, 2016 (From 1:42 to 3:10). ”Crossing from Barra da Tijuca beach to the Tijucas Islands is an outdoor leisure option” – exhibited on February 12, 2016. ”Splash – Crossing to Tijucas Islands” – Edition: Feb, 2016. 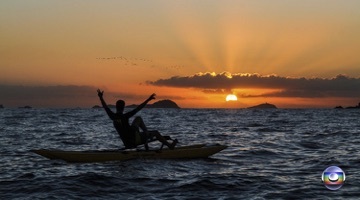 ”Relaxing activities and radicals are fun option in Amores Beach in Rio”” – exhibited on January 29, 2016.